Progeny Press is a company that creates study guides for great literature. Each guide is also available in printed form and CD for the same prices. The benefit of the pdf download and CD is that you may reuse it for your own children. The benefit of the paper copy is that is ready to go for you to get started as soon as you get it, especially if you don't have a quality printer (raises her hand!) Three great ways to get started with the literature guides. I read Little House in the Big Woods and the rest of the series as a child, like I am sure many of my homeschooling Mama's have. I have been waiting for the perfect time to share them with my daughter, even using the same books I read as a child! Definitely some sentimental value in reading this book. We had some pre-reading activities where we found Wisconsin on the map, learning more about the lumber industry in Wisconsin including Paul Bunyan, and learned more about the author. My daughter and I took turns reading as she is just getting to be able to read alone and I didn't want to overwhelm her. We had to read 2 chapters to get to the first set of questions. These included vocabulary, questions on the chapter and a digging deeper section. Most of the activities and questions followed 2 chapters of reading. By far the favorite part of the study for my daughter were getting to the activities and projects. She enjoyed playing games, making butter (which she remembered from when we lived on our farm), learning about making maple syrup (and of course taste testing some), and other crafts. Typically leaning toward loving the food related ones. So how is Progeny Press any different than the other book studies available? They use scripture to reinforce the lessons from the book. I love that! The digger deeper section always references scriptures to look up and discuss. She wasn't quite ready for some of the activities like writing 2 page reports but I will store those ideas for when she is. We were very pleased with the quality of this study. Our next study guide was Frog and Toad Together which I used with my youngest age 6. He is not a reader yet and this is a level 2 reader book. I paired my oldest 18 year old son up with my 6 year old to give them some quality time, and a chance to work together. Plus hey, it freed me up to work with the other 4 children a little bit each day. The questions in the study are given after just one chapter. Dakota would read the chapter to Maverick and they would go over the answers verbally. I was surprised that he was able to answer most of them, though he did get Frog and Toad confused for the first couple chapters. Within the questions there is the opportunity to read verses and see how they apply to the things Frog and Toad are doing. In the study we learned about friendship, directing our day, God caring for us, balanced meals, fear, dreams and more. Who would have thought you can get so much out of a small 64 page easy reader. The study guide also gives suggestions for further reading, which includes 3 other Frog and Toad books. I enjoy that these studies give more one on one time with the younger students. I for sure will be doing another one for young learners this coming school year with my new 1st grader. 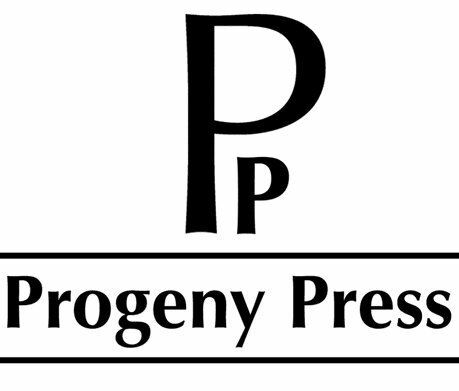 Find Progeny Press on the following social media sites. Want to see what other title Progeny Press offers? Check out some of the reviews from fellow crew members by clicking on the link below. Top Artists Offering Free Songs for Dad!